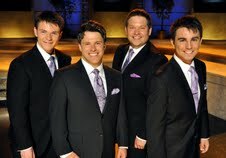 Declaration’s members have a solid background in Southern Gospel and exhibit a dedication to excellence in vocal talent. This up-and-coming young trio from Nashville tours with The Booth Brothers and an energetic presentation that will thrill all ages. Creekside Gospel Music Convention will be held at the Smoky Mountain Convention Center, Pigeon Forge, Tennessee, from October 29 through 31, 2012. The 75th celebration of Lou Hildreth will be held on Monday, the 29th. The 2012 Diamond Awards will be presented on October 30 and October 31 is Family Night. Admission to all events is FREE. Rooms are available at the hotel on site for just $54 per night. Reservations can be made by phone or online. By phone, call toll-free at Toll Free:　1-800-223-6707　or local call　865-908-3015. Online Reservations- go to http://www.smokymountainconventioncenter.com/. 10-03-2012- To debut a brand new group has been a long-standing tradition of The Diamond Awards and this year, there is no exception. With much excitement SGNScoops announces the official debut performance of Christian Music’s newest group, Crosby Lane! Crosby Lane is based out of Nashville and consists of five music veterans, Erin Johnston, Tonja Rose, Michaela Lindsey, John Lemonis, and E.J. Ford. The group CROSBY LANE is named for the most prolific hymn writer of all time, Fanny Crosby. The music of CROSBY LANE is enthusiastic, and includes fresh arrangements of hymn classics and powerful renditions of praise and worship songs. It is about the music that has moved – and still moves – generations to worship the Lord! “The Diamond Awards has always been known as a place to introduce new artists and we are tremendously excited to introduce to our audience, Crosby Lane,” says Rob Patz,owner of the Diamond Awards. 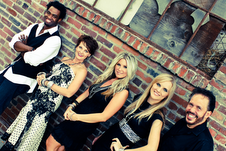 The 2012 Diamond Awards Show is hosted by the Creekside Gospel Music Convention and is scheduled to take place Tuesday, October 30 at the Smoky Mountain Convention Center in Pigeon Forge. Admission to all events at the Creekside Gospel Music Convention is free to the public.